Anyone new to genealogy in the last decade or so has probably heard the field’s cry for source citations, evidentiary analysis, and meeting the Genealogical Proof Standard. The opening chapters of Evidence Explained by Elizabeth Shown Mills summarize many of the principles by which, we are told, we should be evaluating our work. But I was delighted to find, in my continued browsing through the online archives of the NGS Quarterly, an issue that both launched those standards and provided great practical help in using them. Volume 87 of the Quarterly, which NGS members can download as a PDF file, includes the September 1999 issue, which was dedicated entirely to the question of genealogical evidence. Ms. Mills’s opening article pulls together the best principles of evidence analysis for genealogists, the principles which have been the bases for judging our work ever since. Perhaps because this was the seminal article on this topic, it is extremely instructive. It doesn’t just lay out the principles as some subsequent guides have done, but puts them into the context of prior, inadequate genealogical standards. This discussion of past shortcomings helped me better understand the principles now being taught. It also explained the emphasis now being given to the quality of our analyses. The issue is helpful in another important way. It suggests that our genealogical proof might fall into one of four situations: 1) we have direct evidence for our conclusion; 2) we have conflicting direct evidence; 3) we are relying upon an accumulation of indirect evidence; or 4) we are relying upon an accumulation of indirect evidence that actually contradicts some direct evidence. How might our proof argument be written in each of these cases? The issue has four articles, one in each of these categories, showing how skilled genealogists have assembled and analyzed their evidence and how they have written up their conclusions. This landmark issue was important reading when it was published. It remains so. Members can find it online in the NGSQ Archives. Be sure to log in on the NGS website – or take this opportunity to join if you're not yet a member. Then choose the Publications & Videos tab, and click on NGS Member Periodicals. Following on our post of 13 August 2010, entitled "Access to US Military Records at NARA Explained," Melinde Sanborn has added to the original explanation. She informs us that there was/is a blanket freeze on NARA Web site changes that is making the message that these records are now available without proof of death “slow to reach researchers.” Apparently all the forms are different or withdrawn for WWI, but you can’t tell from looking at the Web sites. We have also been informed that there is still one WWI veteran alive: Mr. Frank Buckles, who is 109. Editor's note: The following post comes in response to the article posted 3 August 2010 and provides further information of interest to many readers. First of all, I’d like to thank Toby Webb for his kind words about “Genealogical Research in Pennsylvania” that was published in NGSQ. It’s always nice to hear that one’s work has been useful to another researcher. Toby and other UpFront readers might be interested in knowing that NGS published an expanded and updated version of the article in 2007 as Research in Pennsylvania, one of the Research in the States series. This new edition includes additional material, web sites, and information about online sources and records. It is available in a print edition or as a downloadable PDF file from the NGS Bookstore. Other states are also covered in the series. Some have previously appeared in the Quarterly, some are new works. The authors all specialize in research in the state they write about. Current titles cover Arkansas, Colorado, Illinois, Maryland, Michigan, Missouri, New Jersey, North Carolina, Ohio, Oregon, Tennessee, Virginia, and West Virginia, and they also are available as either print or PDF versions. Research in the States in an ongoing series. Additional titles are in the works and others are planned. Readers might want to watch for announcements of new releases on the NGS web site and other publications. The World War I official military personnel files (OMPFs) were opened in November 2007. The opening of these records allows genealogists, historians, and other members of the public full access to these records. Prior to the legal transfer, access was limited to the specific veteran, the primary next-of-kin, and Federal agencies. Researchers can receive a complete copy of the file for a fee. These records are subject to a limited exemption under the Freedom of Information Act. All social security numbers are redacted before releasing the record to the public. - U.S. Coast Guard OMPFs with discharge dates beginning in 1898 through 1947. Additional military personnel records will be made available to the public each year, for individuals who served in the U.S. Army, Air Force, Navy, Marine Corps, and Coast Guard who have been discharged, deceased, or retired for at least 62 years. For example, records for veterans who were discharged, deceased, or retired in 1948 will be opened 62 years to the day in 2010. - Requesting copies of the records (for a copy fee) via mail, fax, or online. NPRC encourages interested individuals to submit requests via www.vetrecs.archives.gov or on a Standard Form 180, available at www.archives.gov/research/order/standard-form-180.pdf. - Persons of Exceptional Prominence OMPF: $.75 per page. The OMPF information for St. Louis is available in Reference Information Paper 109 Military Service Records at the National Archives. Also, please note that researchers can order records by mail, online, or schedule an appointment with the Archival Research Room at (314) 801-0850. 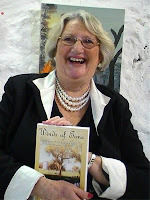 A great-great-granddaughter of Anthony Curtis, Pamela Farrell completed her father's goal of publishing their family history. Winds of Time is set entirely in Western Australia and traces the seven generations of Anthony Barnabas Curtis’ family from his humble beginnings at the Swan River Colony (now known as Fremantle) in 1830 and follows the family to Busselton and Wonnerup and into the family homes of Inlet Park, Wonnerup House and Abbey Farm. The book recalls the courage, tenacity, determination, hardships, great sorrows and great joys the Curtis family experienced over the years. To read this full article from the Busselton-Dunsborough Mail, click here. Plimoth Plantation has planned the wedding of the century -- the 17th century, that is. Located in Plymouth, Massachusetts, Plimoth Plantation is a re-enacted village set in 1623, complete with period actors, buildings, and demonstrations. On Saturday, August 14th Plimoth Plantation will step back in time to the year 1623 when the Colony's Governor William Bradford married Alice Carpenter Southworth, recently arrived from England on the ship Anne. Plimoth's renowned Native and Colonial interpreters will bring this historic event to life as Massasoit, Sachem of the Wampanoag, journeys to Plimoth to be a guest at this wonderful event from 1 to 4:30 p.m. According to The Enterprise news, anyone who visits the plantation and Mayflower II bewtween Aug. 7 and 13 will receive a free return admission for the wedding. In addition, on Friday, Aug. 13, the plantation will hold a "A Pint With A Pilgrim" beer tasting from 5:30 to 7 p.m. in the English Village. 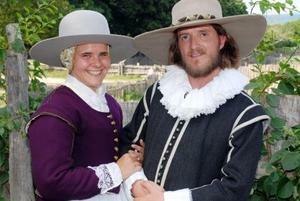 For more on Plimoth Plantation and this event click here. When police recovered stolen, rare baseball cards last month in Wareham, Massachusetts, the owner wasn’t thinking of the $11,000 appraised value. He was thinking of his family’s history with the cards, police said. Vintage baseball cards can cost big bucks on the market: a mint 1952 Topps Mickey Mantle can bring up to $10,000. 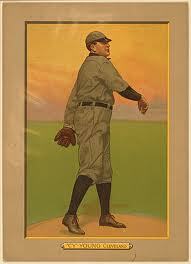 A 1948 Leaf Babe Ruth can cost more than $6,000. But most baseball cards – the older and most valuable ones – are handed down through families where the true value is a history that can’t be measured in dollars. To read the full article from The Enterprise, click here. Greg Kalkwarf was a teenager when his grandfather told him and his brother, with increasing anger and frustration, "Dean, get out there and milk the cows!" There were indeed cows at his grandparents' farm, but Dean -- Kalkwarf 's uncle -- wasn't there, and the grandchildren weren't supposed to be milking them. "The confusion or the memory loss of Alzheimer's -- now as I look back, it's like, that's what was going on," said Kalkwarf, 39. His grandfather died from Alzheimer's complications, and now his mother has it at 65. "It's saddening and disheartening to watch someone you love disappear like that," he said. Kalkwarf is one of many children of the 5.3 million people living with Alzheimer's in the United States who face the terrifying possibility of inheriting a predisposition to the disease. Now there are tests in the works for early detection of brain injury due to Alzheimer's, as well as other biological markers of the disease that can be found with MRI scans, PET imaging and tests of cerebrospinal fluid. Although there are no proven interventions for people without Alzheimer's symptoms, but who may be at risk, neurologists said it is crucial to identify people with early signs of the disease for the purposes of research, so that treatments can be developed when the disease is less severe in the brain. People like Kalkwarf, who have family histories, aren't certain to get Alzheimer's. But there is a genetic mutation that nearly always predicts early onset Alzheimer's, a rare version of the disease that develops in people ages 30 to 60, according to the National Institute on Aging. The detection of Alzheimer's disease in people with no symptoms is very much a work in progress, said Dr. Allan Levey, professor and chair of neurology at Emory University Medical School. Greg Kalkwarf and his wife already wonder if their 9-month-old son will one day face issues from Alzheimer's. In the meantime, Kalkwarf's mother is participating in an Alzheimer's study. "If people are willing to help now, then it's like everybody else who's willing to donate their body to science -- that if we all can give up a little bit, hopefully it helps the next generation," he said. To read this entire article as published by CNN, click here. For the article associated with the included picture, click here. 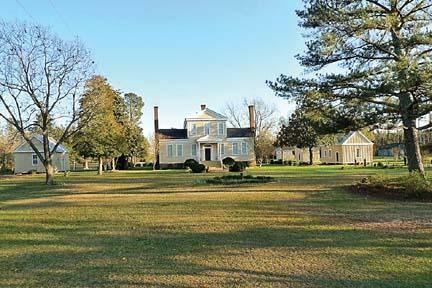 The Tillery family bought their farm in Halifax County, NC, in 1842. 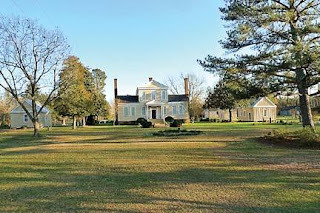 It was constructed in 1793.Today it is known as The Hermitage and is listed in the National Registry of Historic Places. When Charles Tillery visited as a child, his grandfather June owned it, and it passed to some of his cousins. It wasn’t until college Tillery began pondering purchasing the place. Charles Tillery acquired the property in 1978 and spent two years completing renovations on the house. He is now approaching completion of the six outbuildings, including a schoolhouse, a smoke house, a wash house, an office and a dairy. To read the complete story from the Roanoke Rapids Daily Herald, click here. The Summer Genealogy History Camp at the Alexandria Genealogical Library has attracted participants from ages 10 to 16. Now in its second year, the program has campers documenting family group sheets for themselves, parents, grandparents and great-grandparents. They also learn about proper record keeping and the role of the Internet in research and are treated to guest speakers and a tour of the Alexandria Historical Museum. "We're going to encourage them to ask their parents and grandparents about their family, and we are going to teach them how to do basic genealogy research," camp organizer David Manning said. To read the campers' reactions in the full article, click here. 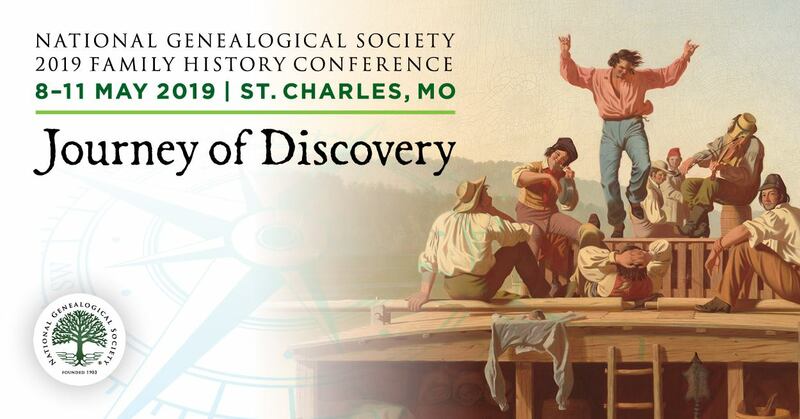 We are all used to searching for specific pieces of genealogical data online, but it is only recently that genealogy's scholarly journals are being made available in their entirety. When I learned that more than a decade's worth of the NGS Quarterly is now downloadable, I thought I'd poke around a bit to see what treasures might be there. For my experimental search, I decided to see what I could find about Pennsylvania, a current focus of my research. I started by checking the online NGSQ Index on the NGS website. I simply put "Pennsylvania" in the title box and ran the search: 94 articles over the years about Pennsylvania topics! Each article was cited (in chronological order), and the list was easy to review quickly. I was surprised by the breadth of coverage and by the names of the authors. There were many distinguished genealogists that I had heard of over the years, all making their contributions to the Quarterly. Having these journals online will be a wonderful resource. It is great that NGS is making the effort to digitize them. 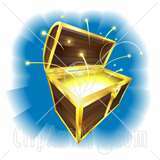 I'll let you know what other treasures I find! Editor's Note: The NGS Quarterly is available online in the Members Only area of the NGS web site. After logging on, members can click on the Publications & Videos tab to access a searchable NGSQ index covering 1912–2008, PDF versions of NGSQ from 2002 up to the most current issue and PDF version of the NGS Magazine from 2005 up to the most current issue.